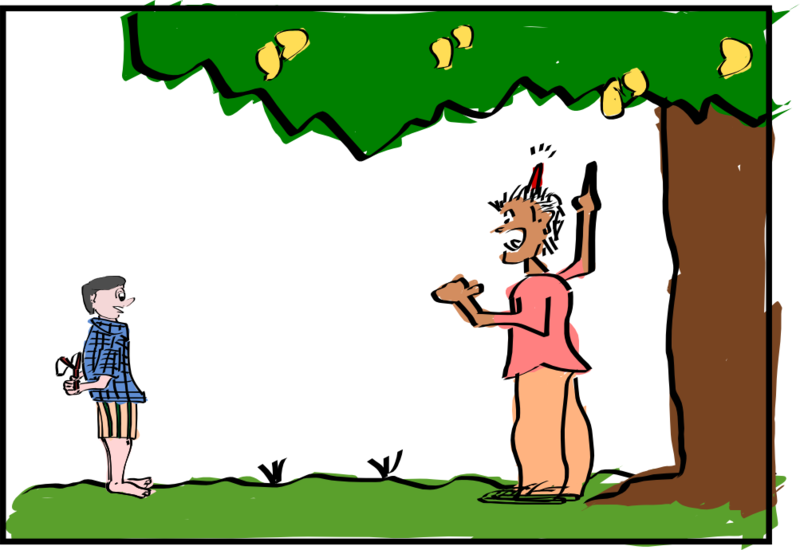 The missed slingshot – Meandering Life! Here is a sketching attempt I did out of boredom! It depicts a scene that shows a man with a bump on his head shouting at a naughty boy. The naughty boy – whose shot at a mango from a catapult has missed and has hit the man on his head, is seen frightened. I have uploaded it onto Open Clip Art for your usage pleasure. RT @mankuthimma: The missed slingshot: Here is a sketching attempt I did out of boredom!